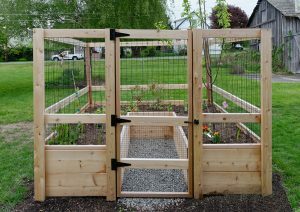 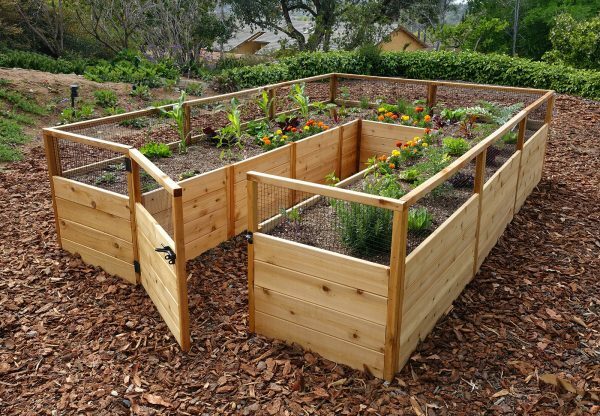 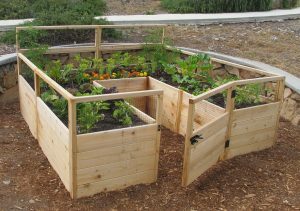 The fencing and trellis that sit atop the raised beds are backed with a heavy-duty black hardware mesh. 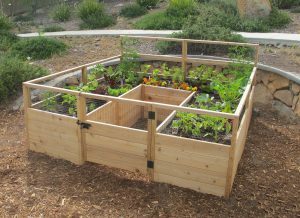 The trellis is ideal for growing peas, green beans, tomatoes and cucumbers. 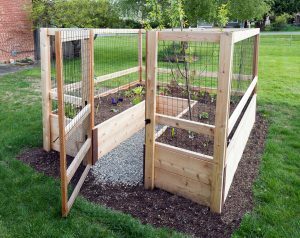 The structure will keep out dogs and rabbits. 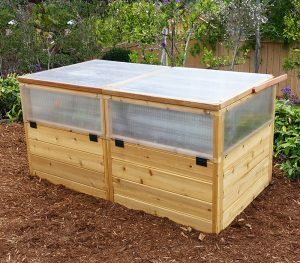 Assembly Pre-assembled panels are up to 4′ long, product not pre-drilled; assembly takes about 5 hours.